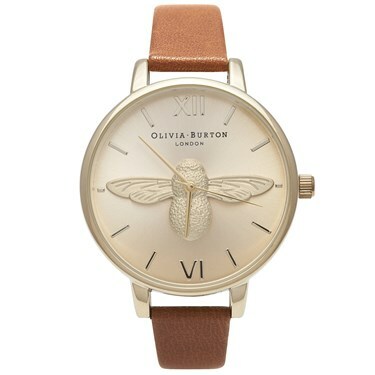 Encapsulating Olivia Burtons love of nature, this intricate moulded bee watch will add opulence to any outfit. With its unique detailing and effortless nature inspired edge this is a true conversational piece. Featuring a gold plated oversized 38mm case and finished with a tan soft leather strap, this watch is taken from the Animal Motif collection that effortlessly combines nature with luxury. It's very beautiful watch. The delivery quite fast and good.